The only thing constant in this world is change! In the 1990s, Java shook up the computing world by bringing managed runtime (virtual machines) to mainstream programming. Today, there are many new languages emerging to replace languages that are popular. Do you know that there are more than two hundred languages that target the Java platform? 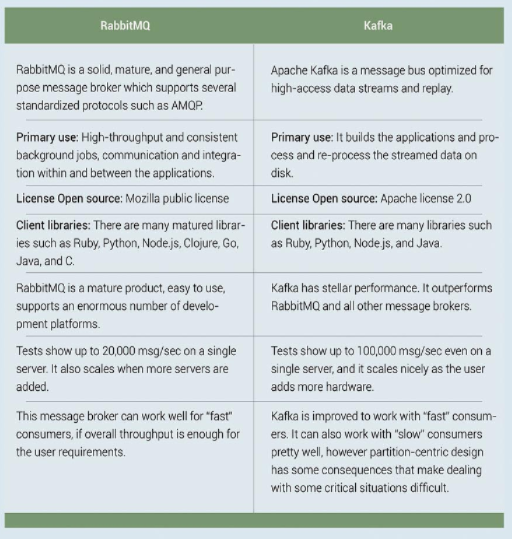 Languages like Scala, Clojure, Groovy, and JRuby are few important languages that target the Java platform. Of these, of interest to us is Groovy since it is getting extensive attention and gaining steady popularity in the last few years. So explore this article and know more about Groovy. The user can write Groovy code online and can execute it too quickly to play around with some snippets. Please notice, that the playground currently has some limitations, like System.out.println is not working. Groovy nearly is a superset of Java, which means most of the Java code is also valid in Groovy code. It just adds a lot of syntactic sugar on top of Java. Let’s see a short example. The variable x changed its type during runtime. The user is still free to define x with a type like int. Groovy has a String implementation called GString which allows the user to add variables into the String. This would produce the output Hello, World. The content of variable x is inserted into the string. If the user wants to use more difficult statements in the string, then the user need to add curly braces after the dollar sign. Groovy has some syntactic sugar around regular expressions. The user can define a regular pattern class by placing the ~ in front of a string. Besides the already mentioned single quote and double quotes,there is a third method to define a string, which is primarily meant for regular expressions. The user can define a string inside two slashes /../. The main difference (in contrast to “””) is, that the user does not need to escape a backslash character, which they often need in regular expression patterns. Java platform Groovy Programming Language by admin. The software development industry has grown over the years, from simple software running in one machine to complex systems on multiple servers in the cloud. Provisioning and handling complex server architecture across different environments can be a big test. Users would manually provision servers, install all the dependencies, and then launch the software. This approach has defects. Assuming that the user’s infrastructure gets corrupted or flops, to spin new servers the user will have to go through the same painful process all over again. Isn’t it frustrating? Infrastructure as Code (IaC) is the process of handling and provisioning computing and networking infrastructure and their configuration through machine-processable code, rather than physical hardware configuration or the use of interactive configuration tools. Such files can be kept in source control to allow audibility and reproducible builds and the full discipline of continuous delivery. There are many tools that are used to achieve this such as, terraform, Puppet, Chef, Ansible, and much more. However, in this article, we will be looking into Ansible. Ansible is an open source automation platform which is used for configuration management, application deployment, and task automation. It can also do IT orchestration to run tasks in order and create a sequence of events which must happen on several different servers or devices. In short, Ansible enables the user to define the infrastructure as code in a simple declarative manner. When it comes to choosing a tool, there is always a question, why should anyone use it? What is the deal breaker? There are many reasons why to choose Ansible as your configuration management tool. Here are some of them. As compared to Chef or Puppet, Ansible does not make use of the agent in the remote host rather it makes use of SSH to manage the systems. This is a good news as the user need not to configure anything on the host before they use it. This approach makes it simpler to set up and to use. Ansible makes use of ad-hoc mode to run shell commands across different machines. This can come in handy if the user is providing many servers. This also minimizes the provision time to make it easier and quicker to replicate the user’s infrastructure. It is recommended to name all the Ansible tasks in a very eloquent manner in the user provisioning script. When the script is executed, Ansible will provide descriptive reports whether the task is succeeded with or without changes. The messages are also coloured providing orderly reports. Ansible uses YAML as its configuration syntax. This makes it easy to the user as compared to using a bash script. Taking into consideration that YAML is easy to learn, therefore reduces the learning curve. Of course yes, the user need to start by installing Ansible. Tasks can be run in any machine where Ansible is installed. As Ansible is “agentless” there is no central agent running. The user can even run Ansible from any server. Here is how to install Ansible on Ubuntu 14.04. Ansible is an open-source automation engine that automates cloud provisioning, configuration management, and application deployment. It provides an easy way for the users to manage their infrastructure through easy human readable syntax. The concepts we have looked at in the above sections is a mere drop in the ocean, they are only guidelines to get you started. So it is up to the user to take the step further and discover what Ansible has to offer. Open source automation platform Ansible by admin. MuleSoft is a vendor that provides an integration platform to connect applications, data, and APIs across on-premises and cloud computing environments. To provide agility both on-premises and in the cloud, MuleSoft’s Anypoint Platform integrates or connects SaaS applications and existing legacy applications through application programming interfaces (APIs). In addition, the platform integrates service-oriented architectures (SOA). API Manager. An API management tool that allows organizations to manage users, traffic, service-level agreements (SLAs), and API security. The API Manager also includes API Gateway. Anypoint Studio. A graphical design environment for constructing, editing, and debugging integrations. API Portal. A developer portal offering interactive documents, tutorials, and code snippets. It is also included in the API Portal such as MuleSoft’s Portal Designer, Developer Onramp, and Access Controller tools. API Analytics. An analytics tool that allows users to track API metrics, such as performance and usage. The API Analytics service also includes visualization tools, such as API Dashboards and API Charts. CloudHub. A multi-tenant integration platform as a service (iPaaS) that connects SaaS applications and on-premises applications. The iPaaS includes a hybrid deployment option, disaster recovery, and high availability. Service creation and hosting: Represent and host reusable services, using the ESB as a lightweight service container. Service mediation: Shield services from message formats and protocols, separates the business logic from messaging, and enables the location-independent service calls. Message routing: Route, filter, aggregate, and re-sequence messages based on content and rules. Data transformation: Exchange the data across varying formats and transport protocols. Mule is lightweight but highly scalable, allowing the user to start small and connect more applications over a certain time period. The ESB manages all the interactions between applications and components transparently, irrespective of they exist in the same virtual machine or over the internet. There are currently numerous commercial ESB implementations in the market. However, many of these provide limited functionality or they are built on top of an existing application server or messaging server, locking the user into that specific vendor. You are never locked in to a specific vendor when you use Mule. – Mule and the ESB model allows the significant component reuse. Unlike other frameworks, Mule allows the user to use their existing components without any changes. Components do not require any Mule-specific code to run in Mule, and there is no programmatic API required. The business logic is kept completely separate from the messaging logic. – Messages can be in any format from SOAP to binary image files. – The user can deploy Mule in different topologies, not just ESB. Because it is lightweight and embeddable, Mule can dramatically minimize time to market and increases productivity for projects to provide secure, scalable applications that are adaptive to change and can scale up or down as needed. – Mule’s stage event-driven architecture (SEDA) makes it highly scalable. A major financial services company processes billions of transactions per day with Mule across thousands of Mule servers in a highly distributed environment. NAT stands for Network Address Translation and PAT stands for Port Address Translation. A network address translation device obscures all details of the computers connected to the local network. NAT device acts as gateway for all the computers. Behind the NAT device, local network can use any network address space. NAT device acts as proxy for the local network on the internet. A NAT device helps in increasing the security as it can prevents an outside attacker even to find the local network. This is because of local addressing scheme is not contiguous with the standard IP address space used worldwide. Network Address Translation, Port Address Translation NAT, PAT by admin. Unlike TCP, UDP is connectionless and provides no reliability, no windowing and no function to ensure data is received in the same order as it was transmitted. However, UDP provides some functionalities as supported by UDP such as data transfer, multiplexing and has fewer bytes of overhead in the data. This fewer bytes in the overhead makes UDP protocol need less time in processing the packet and need less memory. Also, absence of acknowledgement field makes it faster as it need not to wait on ACK or need not to have hold on data in memory until they are ACKed. UDP protocol TCP, UDP by admin.